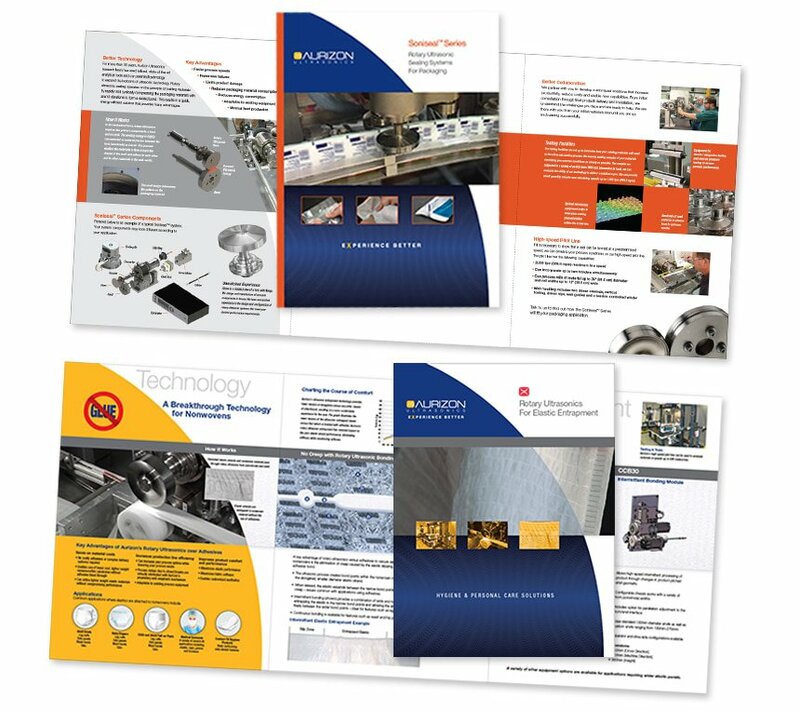 Aurizon Ultrasonics is a high-tech, ultrasonic equipment manufacturer that needed to refresh their brand position, messaging and product naming to match their current go-to-market strategy. 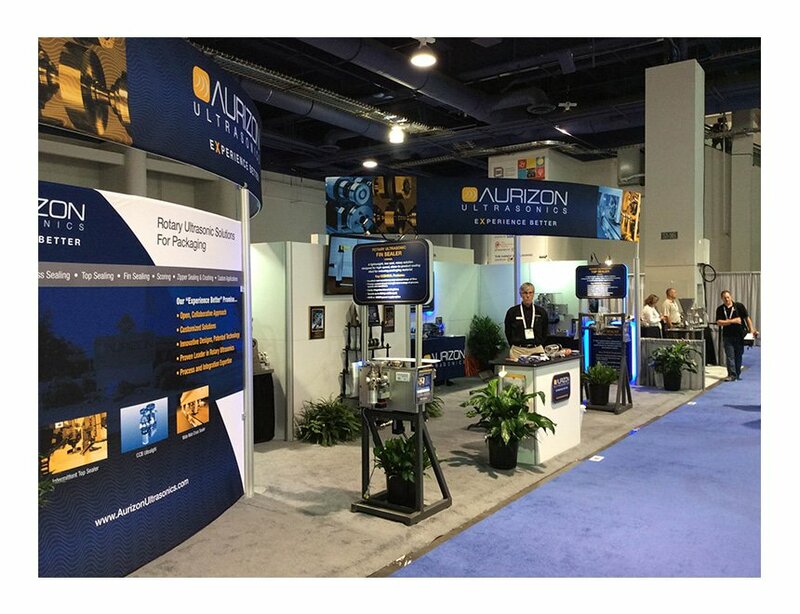 Aurizon Ultrasonics is a high-tech, ultrasonic equipment manufacturer that utilizes trade shows as a key marketing tool. They needed interchangeable booth graphics that allowed for a consistent brand message while highlighting market-specific solutions. 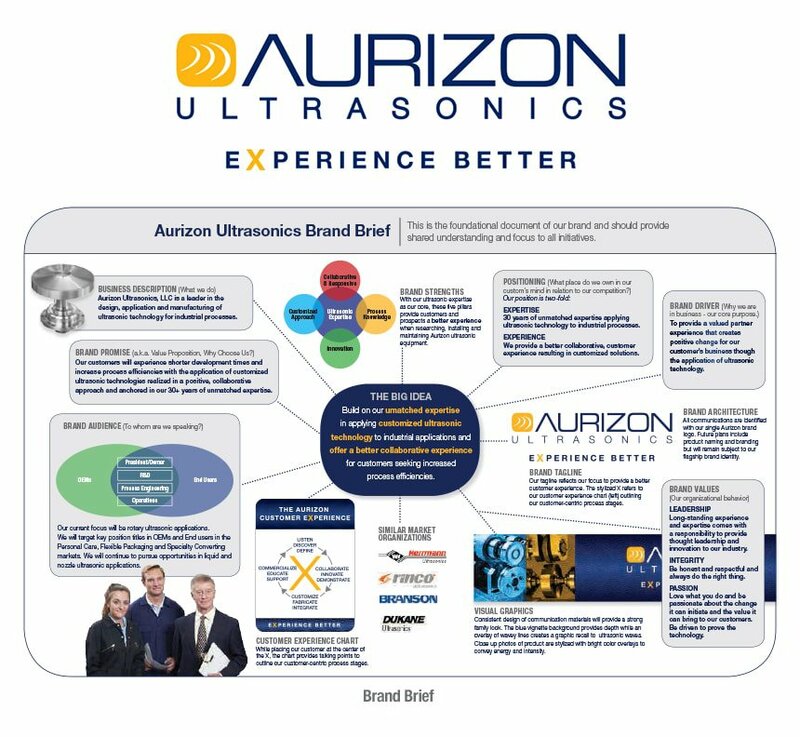 Aurizon Ultrasonics is a high-tech, ultrasonic equipment manufacturer that relies on their direct sales force to effectively communicate their unique technology and the benefits it delivers. Brochures and a sample kit were needed to help support the sales team. 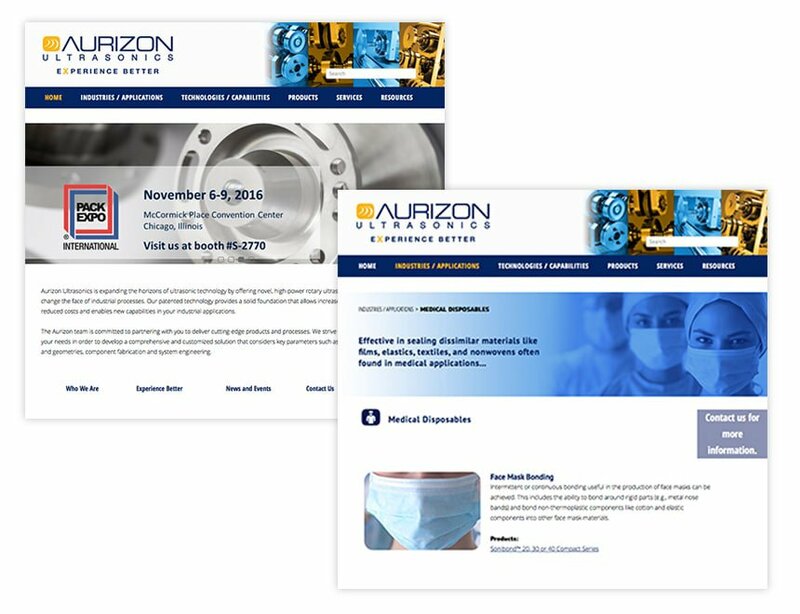 Aurizon Ultrasonics is a high-tech, ultrasonic equipment manufacturer that had outgrown the design and functionality of their existing website. The newly-designed website created a better user experience by highlighting key markets, applications and associated technology solutions offered by the company.